Unisys announced a strategic alliance with AOptix.The partnership seeks to bolster the biometric identity verification services offered by the iris provider. Unisys will be integrating AOptix products into the LEIDA (Library of eID Artifacts software) framework, while AOptix brings its InSight iris recognition and face capture systems to the alliance. Unisys works with its clients to secure their operations, increase efficiency and utilization of their data centers and modernize their enterprise applications. The alliance with AOptix offers a means to accelerate development and reduce implementation time for the company’s biometric identification technology, while enhancing national border and airport security. 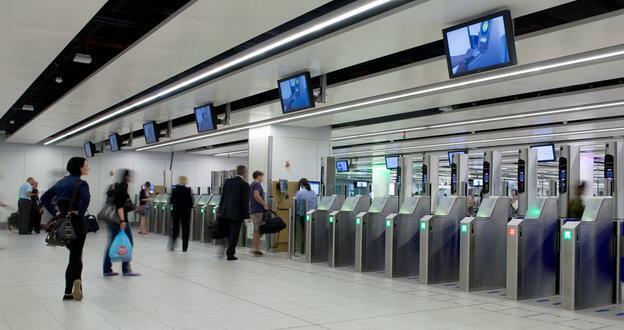 AOptix iris recognition technology is already employed in secure locations throughout the world including London’s Gatwick Airport and the State of Qatar’s immigration control operations. AOptix biometric identity solutions use iris-scanning technologies to process travelers and eliminate long security lines at airports. Additionally, their use of ultra-high bandwidth wireless communication products can alleviate network congestion caused by mobile apps requiring high data usage.